More momentum for Spotify: The streaming music service has finalized a huge funding round that gives it a valuation of about $1 billion. The European company has raised around $100 million from DST, Kleiner Perkins and Accel. Spotify has been working on the round for more than six months, but people familiar with the company tell me it didn’t actually close until this week. 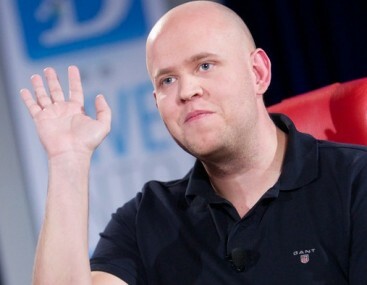 Spotify CEO Daniel Ek can use some of that cash to support a planned U.S. launch this summer. He now has U.S. licensing deals with three of the four big music labels and is in advanced talks with holdout Warner Music Group. Spotify is also working with Facebook on a significant integration deal, but that won’t be tethered to the U.S. launch, I’m told. Some context for the funding: U.S. Web music service Pandora, which went public Wednesday and got hammered in the markets yesterday, is currently valued at about $2.1 billion. 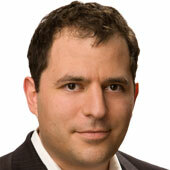 More context: Warner itself just sold for $3.3 billion. All good news for a company that has been bumping its head on the ceiling for a bit. Its efforts to get into the U.S. have been stymied for two years, and recently Spotify has had to scale back what it offers for free to European users — either to appease the music labels, or to save money, depending on which version of the story you believe. In Europe, Spotify offers a “freemium” service, where registered users can listen to a certain amount of music each month for free, and paying subscribers get unlimited music, which they can stream to their computers or phones. People familiar with the company’s plans indicate that it wants to do the same thing in the U.S., and would likely charge around $10 a month for the premium service. Unlike Europe, however, the U.S. has several existing subscription services that also stream unlimited tunes for $10 a month, and those have yet to take off, even though the services are now compatible with popular handsets like Google’s Android and Apple’s iPhone. During the time that Spotify has spent trying to get to the States, meanwhile, three different cloud/locker services have launched in the U.S. as well: Amazon and Google allow users to move their own music to an Internet-based server, where they can stream it to PCs and some phones. Apple has announced its own take on the concept, which will allow users to download copies of music they own to different devices (it’s possible that version will also allow streaming at some point). The price point for those services all range from free to a few dollars per month — much cheaper than the $10 per month Spotify will likely ask for. But they’re a different offering: Google, Amazon and Apple are all promising to give you mobile access to music you already own, while subscription services like Spotify give access to millions of tracks you don’t have.